The Chapel is the oldest part of St John’s. Except for a time in the 17th century when it was in a ruinous state, it has been used as a place of worship since 1135. It was originally a simple rectangular stone building. The original lancet windows did not permit much light and were developed during the ages. In 1829, an aisle was built on the north side, the former wall being replaced by a three-bay arcade. There was another major restoration in 1870. The walls of the nave were raised and a new high pitch roof built, buttresses were added to the outside of the south wall. In 1984, magnificent stained glass by John Piper, representing Christ in Majesty was placed in the east window. 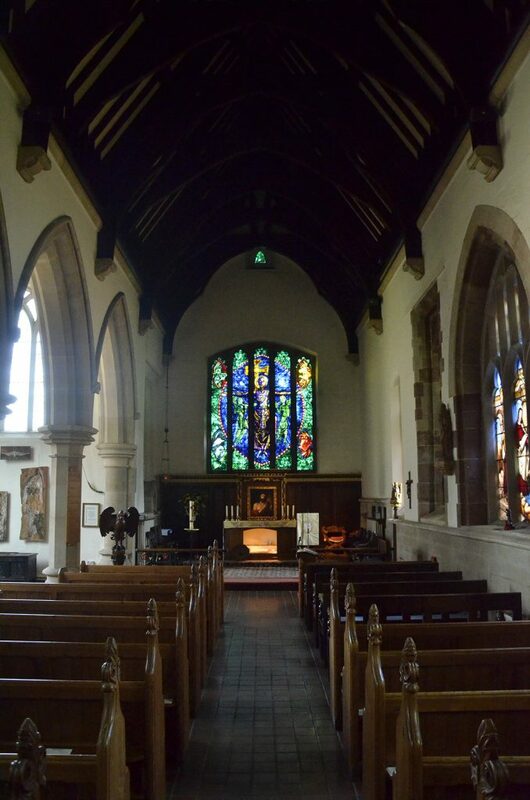 The Chapel welcomes visitors at any of the services, or at any time until 5pm. Conducted tours available on request. Please call 01543 251884.